A family wants answers after a woman was found dead following an early morning car crash. KANSAS CITY, Kan. - A family wants answers after a woman was found dead following an early morning car crash. Early Thursday morning, Kansas City, Kansas Police saw a suspicious car on 18th street. Investigators saw 29-year-old Chrissy Saale slumped over in the passenger seat. "How can you not care about anything or anyone and take someone else’s life in your own hands?" asked Saale’s sister, Amber Saale-Burger. According to police, 24-year-old Collan Cross hit multiple police cars and drove the wrong way down Interstate 70. Police aren’t sure when Saale died, and the cause of her death is uncertain. 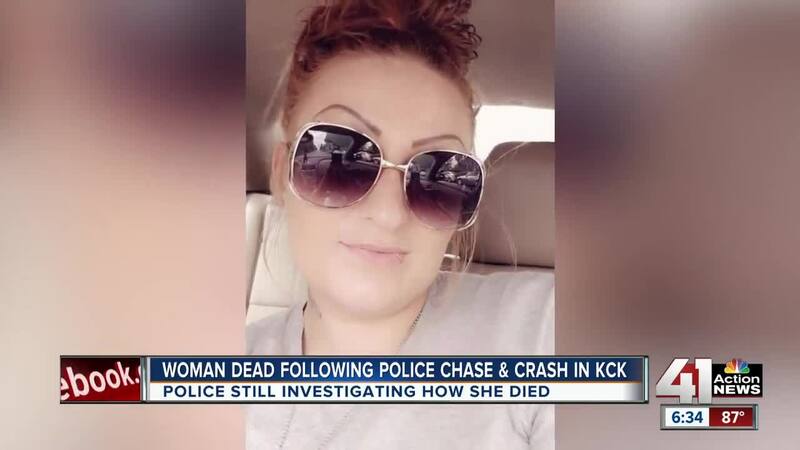 “Right now we have to call it a fatality until we can do an autopsy and determine whether she died in that car crash or if there was something that happened before when the officers first pulled up on them," said Officer Tom Tomasic. 41 Action News spoke with Saale-Burger while she was driving from Chillicothe. "I just feel like he should be in jail for what he has done to her," she said. She says its been a rough year for the family. Their father died last month, and now this. "I’m hurt that someone can not care about someone else’s life enough to put it in jeopardy like that,” she said. Cross remains in the hospital.